If it’s one thing that ISKCON is known for throughout the world is that we chant “Hare Krishna.” Hence the name “Hare Krishna Movement.” So much so are we known as chanters, that when we were invited to do a program at a local temple, the leader, in expressing thanks to us for our efforts that morning remarked after we made a small philosophical presentation, that he didn’t know we could do anything else besides chant. This chanting is performed in two ways; publicly in the streets and towns and also privately as personal meditation or japa. Both ways of chanting are of extreme importance in making spiritual development and increasing one’s love for God (Krishna). 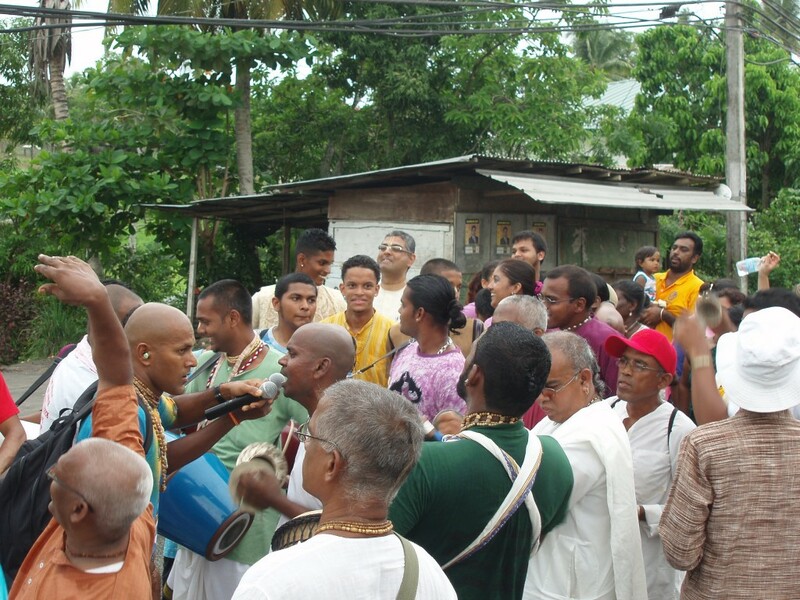 In Trinidad and Tobago devotees regularly go out and chant publicly in various towns on a daily basis and devotees do personal mediation privately in their own homes as well as at the temple. Initiated members of ISKCON take the chanting very seriously and take a vow to chant a minimum of 16 rounds of the Hare Krishna Mantra daily as a priority every day of their life. 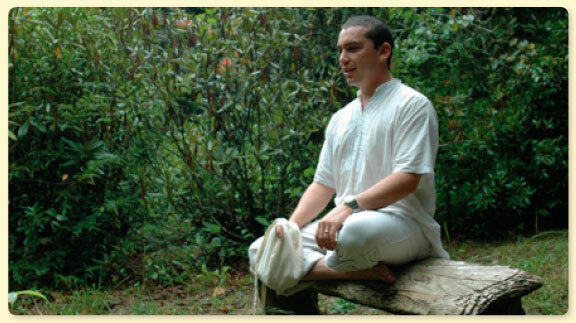 A round constitutes 108 repetitions of the mantra.